“A shower might just give someone that confident feeling they need. They might be taking the bus or train to go to a job interview,” said Metro director and county supervisor Janice Hahn. The plan is due in four months, meaning details are scarce right now. But the motion notes that the program would roll out first at the North Hollywood and Westlake/MacArthur Park stations. Inglewood Mayor James Butts was the only board member to speak against the proposal, saying showers and bathrooms might end up attracting homeless residents. 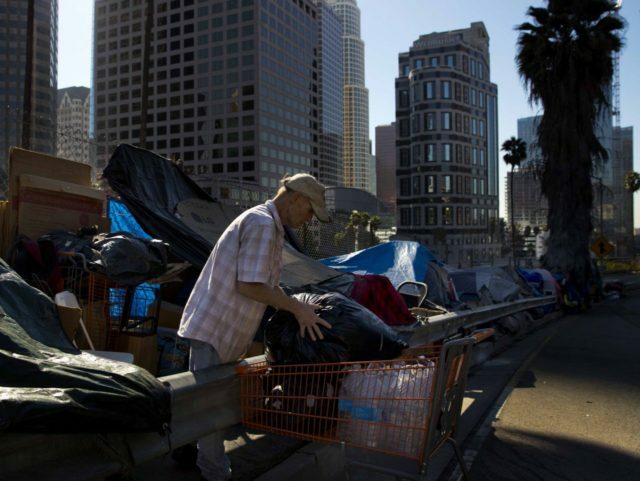 Aside from basic hygiene, one of the aims of the Metro service would be to help connect LA’s homeless to services offered by local governments and their partners, according to [Metro director and Los Angeles County supervisor Hilda] Solis’ office. There is currently only one public restroom in the entire L.A. Metro system. The board of directors is also reportedly making more public restrooms available. The San Francisco Bay Area Rapit Transit (BART) system has notorious problems with homeless people urinating and defecating in public areas of the stations. In 2014, the city welcomed a bus that provided homeless people with mobile showers. Fox News notes the broader context of homelessness in California, which has forced Orange County to evacuate homeless camps along the Santa Ana River, and which has slowed down train traffic as homeless people camp or move near rail tracks across the state.